Current Nintendo president Satoru Iwata has delivered a brief statement following the death of his predecessor, Hiroshi Yamauchi. The entire Nintendo group will carry on the spirit of Mr. Yamauchi by honoring, in our approach to entertainment, the sense of value he has taught us — that there is merit in doing what is different — and at the same time, by changing Nintendo in accordance with changing times. 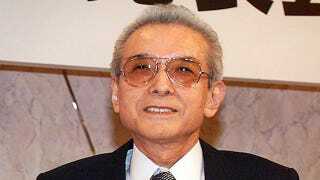 Yamauchi passed away earlier this morning after a battle with pneumonia. He was 85. UPDATE (9/20): We'd like to share a few more statements from game industry figures who knew or worked with Yamauchi. It seemed he would live forever because his presence was still so large, even after he stepped down from his role in 2002. The difference he made in the world of entertainment is unquestionable, nearly unthinkable. Look what resulted and still lives? He visualized and held vigilant to ideas no one else could have conceived. What Nintendo stands for came deep from inside his mind and heart and he always kept us on the road of that vision. The result is a company like no other and products like no others. It was my privilege to have Nintendo as my family for so many years. Mr. Yamauchi was the definition of a visionary. His willingness to unapologetically think differently defined Nintendo and the world of interactive entertainment, and captivated millions of game players along the way. All of us owe thanks to Mr. Yamauchi for the wonderful industry that we have today. I didn't really know him personally unfortunately.. But I remember his occasional 'walkabouts' around EAD to look at what people were working on were very nervous affairs. For such a small stature he had an immense presence, more than anyone I've met.